With nearly 200,000 visitors a year, The Discovery is Northern Nevada’s most trusted place to experience science. 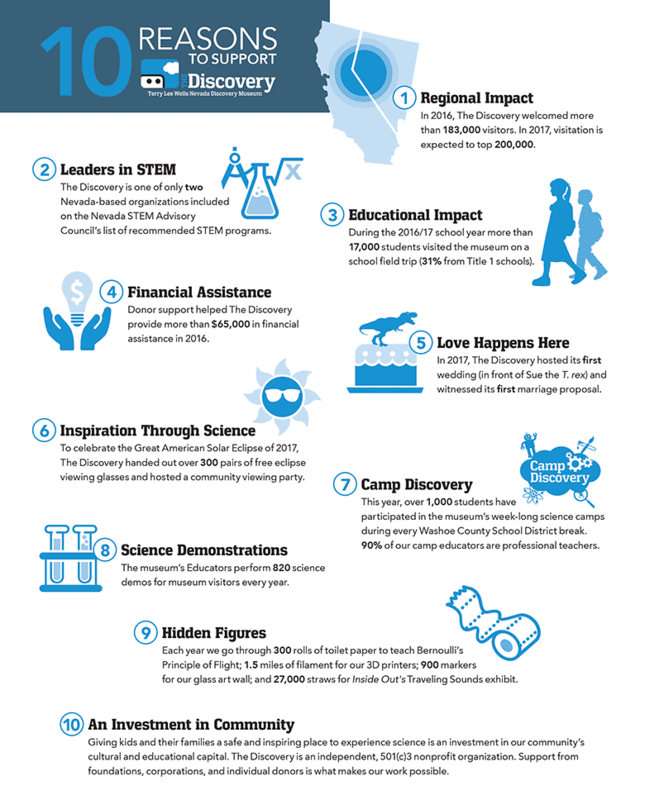 We invite you to browse this quick list of 10 interesting facts about The Discovery’s impact in our region. And if you believe, as we do, that science matters, support it by making a donation to The Discovery today.